DETROIT, MI -- Toyota Motor Corp. is recalling nearly 1.6 million vehicles in the U.S. to replace potentially faulty front passenger air bag inflators made by Takata Corp. of Japan. The action expands what was already the biggest automotive recall in U.S. history. 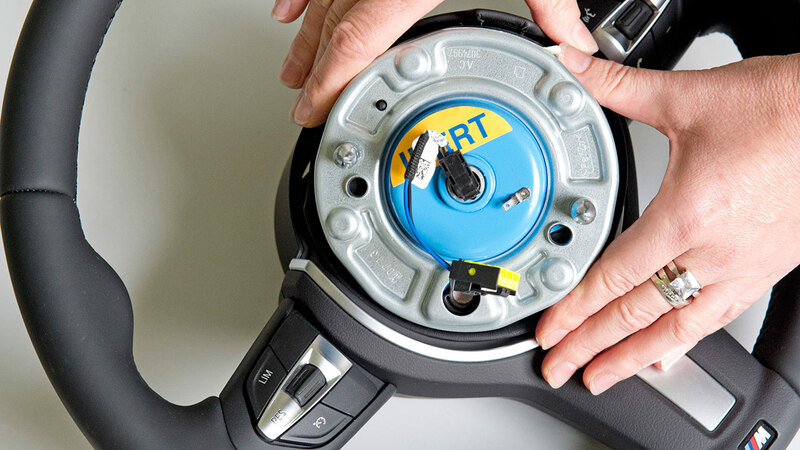 The U.S. government announced earlier this month that 17 automakers - including Toyota - are adding 35 million to 40 million Takata inflators to the 28.8 million that have already been recalled after multiple investigations showed more vehicles could be affected. The latest recall includes Toyota, Scion and Lexus models from the 2006-2011 model years. The air bags can deploy with too much force, breaking apart the metal inflator and spewing shrapnel into the vehicle. They are responsible for at least 11 deaths and more than 100 injuries worldwide. The government said the inflators must be replaced before they reach a minimum of six years old, when the risk of rupture increases. The recall expansion will be announced in phases based on the age of vehicles and where they are registered. Takata uses ammonium nitrate to create a small explosion that inflates air bags in a crash. But the chemical can degrade over time and when exposed to humidity and a large number of hot and cool temperature cycles. The first phase of the expansion covers vehicles from the 2011 model year or older that are registered in Alabama, California, Florida, Georgia, Hawaii, Louisiana, Mississippi, South Carolina, Texas, Puerto Rico, American Samoa, Guam, the Northern Mariana Islands (Saipan), and the U.S. Virgin Islands. THE MODELS: 2009 -2011 Toyota Corolla and Matrix; 2006-2011 Toyota Yaris; 2010-2011 Toyota 4Runner; 2011 Toyota Sienna; 2008-2011 Scion xB; 2007-2011 Lexus ES; 2010-2011 Lexus GX; 2006-2011 Lexus IS. THE FIX: Toyota will notify owners by mail. Depending on the model, dealers will replace the front passenger air bag inflator or the front passenger air bag assembly. The repairs will be free.